Struggling to build your business because you have a job, family, kids, and your busy? Tonight, we'll discuss how you can win building part-time! 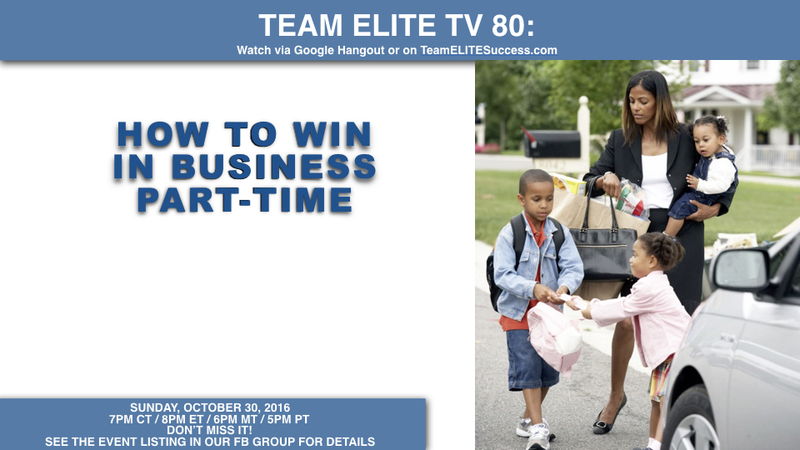 Don't miss tonight's Team ELITE TV! IF YOU'RE SERIOUS ABOUT YOUR JEUNESSE SUCCESS, YOU CAN'T MISS TONIGHT'S EPISODE!